When we first met these Overland Park homeowners, they had an existing wood deck that was falling apart. They had a few items on their tick list about their new deck. They wanted it slightly larger, more stylish and they wanted to use low maintenance materials. The request for low maintenance materials is very common these days. They are available for everything from decking boards to railings, to even ceilings and other outdoor building materials. If you’re considering having a new deck, porch, patio or other outdoor living project built, you may be wondering whether these low maintenance products are right for you. 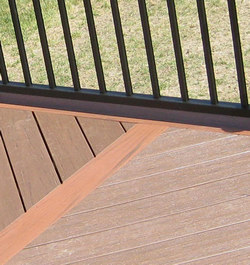 We are your trusted Overland Park deck builder! Low maintenance outdoor building materials truly “have come a long way baby”. Years ago you may have heard “plastic wood” or plastic railings to describe the first generation of low maintenance materials. The goal back then was to have building materials that required less cleaning and annual maintenance while being sturdier than wood, having better scratch resistance and better Resistance to other factors such as bugs and molds. While the earlier iterations of low maintenance outdoor building materials couldn’t fit that bill, today there are many choices that can. 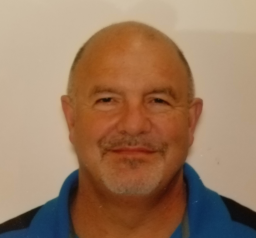 Low maintenance materials have fairly quickly run through a series of iterations in which there were improvements with each iteration. In addition, more companies have entered the arena which raises the bar even further. Now you can get low maintenance products that have a 25 year warranty guaranteeing even issues like fading and staining. As with any high performance product, there is also a correlating price difference. I tell my customers that if they plan on living in their home for the next 15-20 years and they plan on using the deck a lot, then the should really look at low maintenance materials. On the other hand, if you plan on selling your home in 5 years and don’t mind doing annual staining and sealing on your deck, then you may not want to use low maintenance material. On the Overland Park deck you see in the pictures, we used AZEK which is solid PVC. Here are some of the benefits. On this deck, we used two different colors. 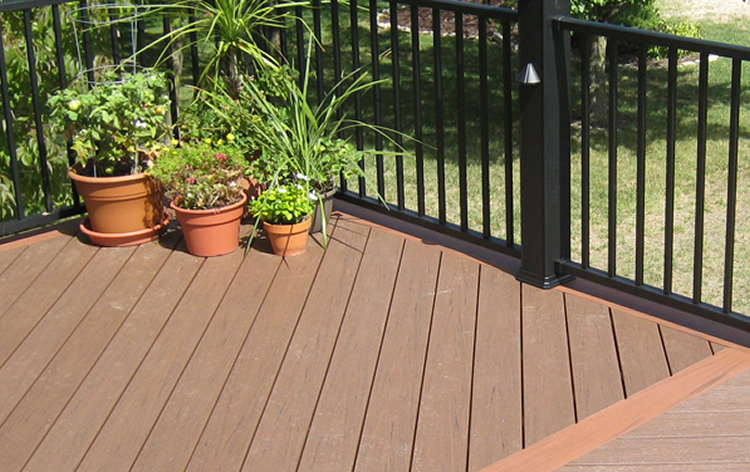 Using color contrasts is very popular right now as it adds to the custom look of your deck. The primary deck color is AZEK Acacia. The parting board and picture frame outline are AZEK Redland Rose. 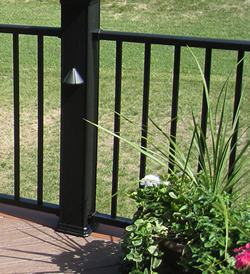 In continuing the design contrast, we used an all aluminum rail by Westbury aluminum. You will notice on the rail posts, we used black TimberTech Radiance railings. These homeowners will get many, many years of use of their new low-maintenance AZEK deck. If you are considering adding a new low-maintenance deck to your Overland Park home, give us a call for a free consultation at (913) 851-3325 or drop us an email. We look forward to working with you to design the ultimate outdoor living space for your home.